I spent Connected Educator Month connecting with educators across Alberta but I was so busy I didn’t manage to catch any of the great events that were on the Connected Educator Month schedule last month. There were many I would have loved to have participated in but all I had time for was virtual participation on occasion as tweets tumbled through my twitter stream. I started the month by talking to pre-service teachers at the University of Alberta, in synchronous online and face to face sessions, about technology, how it can be used to support student-centred learning, digital citizenship and things to consider when using technology in the classroom. I thought it was interesting how very different the three classes, with three different groups of students felt, each had a distinct personality. In the middle of the month I helped facilitate a two day community of practice meeting with 70 school leaders from across the province in beautiful Bonnyville, Alberta. 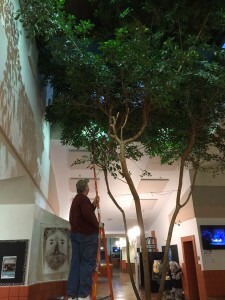 We were at a dual track (English and French Immersion) Middle School with two 25 year old trees growing in the main hallway, which I have never seen before. 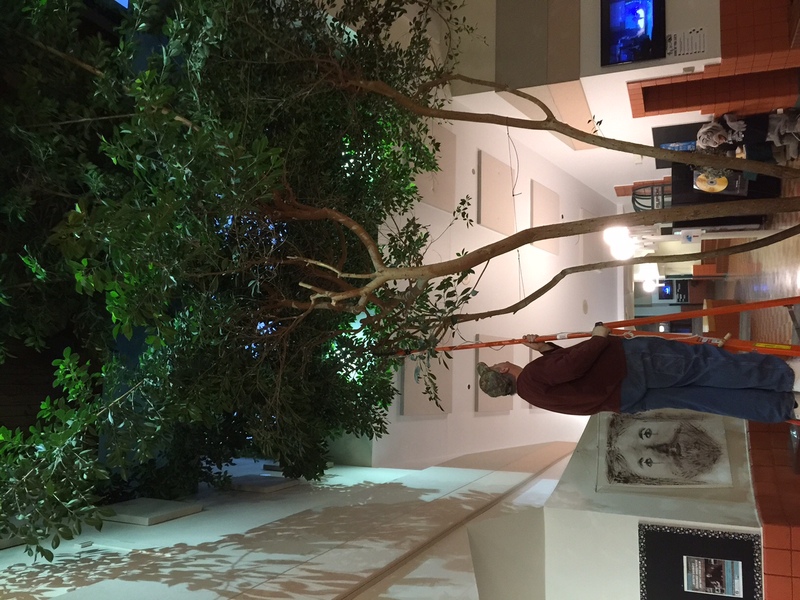 When we arrived on the second day the custodian was pruning them – he says they grow about a foot a month. As we drove from Edmonton I got to visit the world’s largest sausage, perogy and Mallard duck and see some beautiful Alberta countryside and sunrises. I also got to travel to Grande Prairie with my friend Edna Dach for my second meeting with a group of elementary school teachers who are exploring how technology can be used to enhance student-centred learning. We went Beyond The Textbook by exploring digital story telling tools, looking at the SAMR model and discussing considerations for digital content, and we played with the Google apps that all of their students have access to. Their favourite tool was Storybird, but Nearpod was a big hit as well. I ended the month at BlendED 2015, a pan-Canadian Online and Blended Learning Symposium organized by an innovative group of Alberta educators and the Canadian E-Learning Network. On Monday I did a session about the Learning and Technology Policy Framework and Action Research, Will You Know It When You See It?, and Tuesday I did what I like to call “The Verena and Rhonda OER Show” about Open Educational Resources (OER) with my friend Verena Roberts, here is our slide deck and OER Practice Document which, of course, have a Creative Commons license. Now that Connected Educator Month is over it’s time for Digital Writing Month.